When Admiral’s Quarters opened in 2000, it was one of most luxurious condominium developments on the Alabama Gulf Coast. That reputation of luxury has stood the test of time, as Admiral’s Quarters is still one of the more coveted complexes in Orange Beach, AL. The key to its success is a combination of upscale interior features and large, open living space design, with large kitchen island granite countertops, wet bar with ice make, walk-in closets and spacious gulf front balcony overlooking 400 feet of powder white sand. The condo fees range from the mid $400’s for 2 bedroom, 2.5 bath units to the upper $600’s for the 4 bedroom, 4 bath units, which includes basic cable, water and insurance costs. 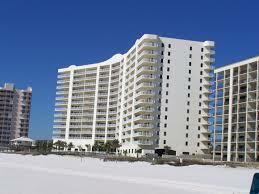 Tour Admirals Quarters Condo Orange Beach with the Jason Will Real Estate Team 251-866-6464.